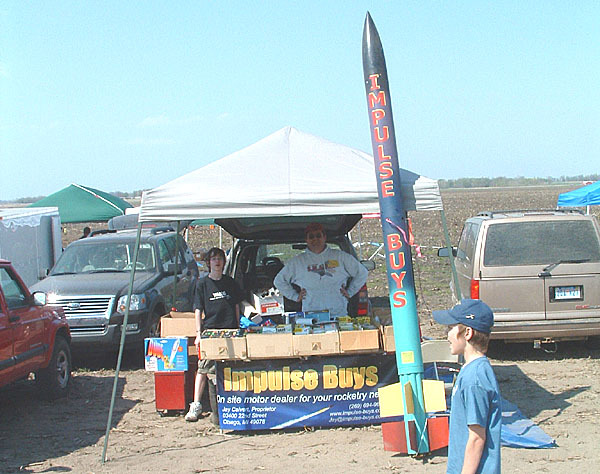 If you fly hobby rockets at organized club launches in Michigan, there's a good chance that Impulse Buys will be right there with you. We offer a broad range of model and high power rocket motors from Aerotech, Cesaroni, Road Runner, Estes, and Quest at competitive prices. We also provide hardware rentals. Remember, when you buy from an on-site vendor you avoid shipping, handling, and HazMat fees!